So when I saw this card on Pinterest, I was so inspired to dust off this set of stamps and dies in my collection and put it to use immediately! 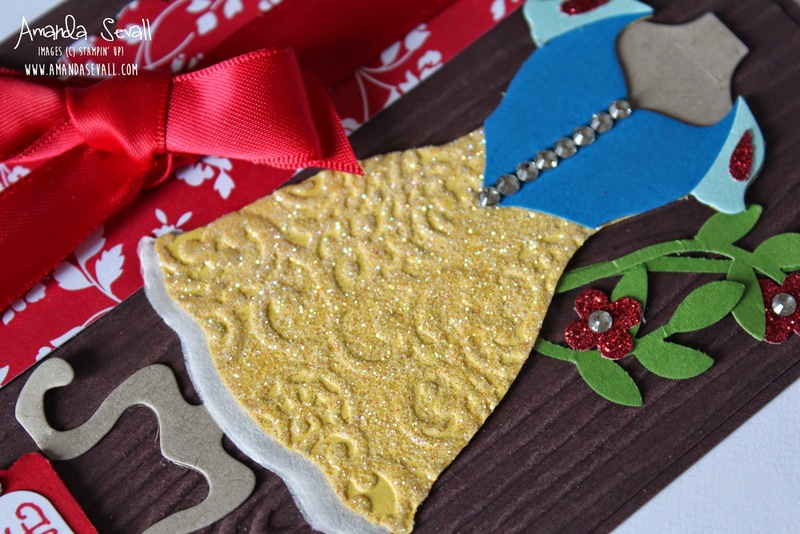 I loved the dark brown woodgrain embossed background.... the red ribbon.... the leafy green leaves. 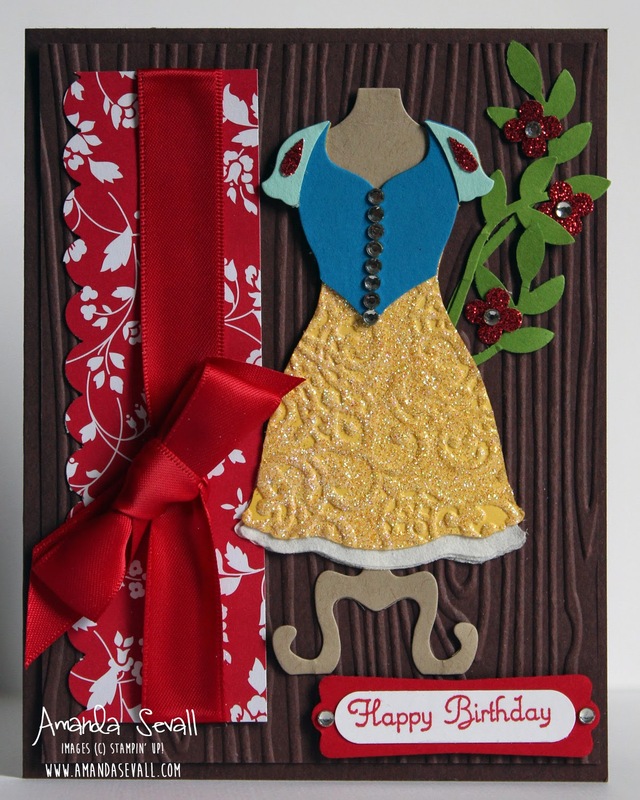 I used those and made a ton of revisions until I had my own version of Snow White for my card! The yellow dress is dry embossed with the Big Shot, then I covered the entire bottom of the dress with Versamark, then a layer of Heat & Stick powder, followed by a final layer of Dazzling Diamonds glitter! And that little white layer? I used a little scrap of Crepe Filter Paper I had sitting on my desk -- several layers and I only cut about the bottom 1/2" of the die into my scrap -- love the little detail it adds! Watch out -- once I started using this die, I made five different dress cards! Be back tomorrow with the next one! I love this! Perfect for any Disney fan! You should do a whole series with all of the princesses. I bet you could make a bundle selling them as a set.